The American dream of buying a home will probably be the biggest and best investment you will ever make. The small price of a professional home inspection can provide you help in making an informed and wise decision on your purchase. A professional home inspection is a visual examination of the home with an experienced eye. The inspection is a reasonable effort to disclose the condition existing on the day of the inspection. It is an impartial, third-party evaluation of the physical structure and major systems of a house. The inspection will prepare you for proper maintenance of your investment, will show you how to operate the systems in the house, and locate where the emergency cut-offs are in the dwelling. Your property consultant has the knowledge and experience to inform you of potential problems and advise you on how to handle them. Keller has been in mortgage banking her entire life. Her mother was a loan officer and her father was a realtor. Keller delivered rate sheets for her mother when she was in high school. Keller began working in the mortgage field as a processor. She particularly enjoys working with first time homebuyers in a special effort to ensure that they understand the process completely. Since it is unlikely to be their only mortgage, she wants them to understand the process for future transactions. Transparency is her specialty. Keller works to keep her borrowers, no matter what type of transaction, informed along the way. Sometimes she is not able to deliver the responses that people would like, but she wants to be clear so everyone understands the process and its status. Keller will not tell you she can do something that she cannot accomplish. Keller is a night person which makes it convenient for her agents and borrowers to reach her when it is convenient for them. Many contracts are negotiated in the evening or on weekends. Call Keller anytime to be prequalified or discuss other financing options. Previously, due to soaring home sales in the Washington D.C metropolitan area, some home buyers chose to omit home inspections for fear of losing the competitive edge in the bidding war for a home of their choice that was within their budget. Currently, during more realistic times, buyers are giving critical weight to the outcome of home inspections as they balance affordability with the cost of repairs. Today’s buyers arrive at the negotiating table well-informed; intent on learning everything they can about the property condition, and are suspicious of information lacking or not forthcoming from the seller. A home inspection is much more than just paying someone to provide an opinion. It is the sum of all the experience and knowledge that an inspector applies during the process of studying and assessing the condition of your home. Since there is no such thing as a "perfect" house, even the most well-maintained home generally has defects or problem areas which even the most conscientious seller may not be entirely aware. A professional home inspection can quickly and efficiently identify problems in a wide range of areas to help the buyer make an informed decision. What could be more important than having peace of mind when it comes to what is likely the single largest investment of your life? To evaluate the type, quality and approximate age of the various materials, components, and systems within the home and document the needed repairs. To verify that all items contained within the sales contract and/or addendum are operational and serviceable. To familiarize the client with the unique features of the home and provide suggestions on home maintenance, home improvements, and energy conservation. We encourage you to be present and participate fully in the inspection by asking questions and learning about your new home. The Building Inspector of America provides a thorough and detailed analysis of the home’s current condition. A comprehensive digital report with photographs is provided within 24 hours of completion of the home inspection. The report documents any defects or deficiencies and needed repairs. Our inspectors are well-informed, polite and helpful; they will answer your questions and assist you in understanding the findings. Should any questions or concerns arise about the report or the home following the inspection, telephone consultation with the inspector is available at no extra charge to the client. There are many steps to the home buying process and sometimes it can be confusing, stressful, and intimidating. The step-by-step process below will help reduce that stress and frustration, and provide you a more positive home buying experience. Step 1: How Do I Get Started? First, ask yourself what your monthly payment is going to be. Use the calculator provided on the right side to get an estimate on your monthly payment costs. Second, ask yourself if you are in the position to buy a home. Do I have enough for a down payment? Do I qualify for a zero down payment purchase? Different loan programs have different qualifications. Click here to learn about the different loan options you have available to you. Step 2: Get Pre-qualified! Apply! Gather important items like pay stubs, bank statements, tax returns and let a mortgage professional determine your income-to-debt ratio. This is extremely important as you will have an idea for how much house you can afford. Step 3: Get a Realtor and Go look! Your realtor will narrow down homes that suit your style and tastes, as well as show you homes in and around your price range. Step 4: Apply for a loan! 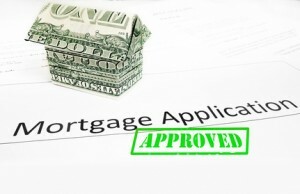 Your mortgage professional will help guide you through the loan process. In many instances this can take place in as little as 30 days. Apply today and start thinking about tomorrow! There are many great guides out there to help you move. Here are a few to help you get started. Excello West Exterminating Co., Inc.
Business Description: Largest Local Family Owned and Operated Exterminating Company in Carroll County. Experience the powerful advantage of a growing mortgage company and a trusted bank working together. By working with Fulton Mortgage Company, you can use mortgage products in conjunction with great bank products, such as home equity loans and swing loans. Fulton Mortgage Company, with divisions at each bank, is a leader when it comes to mortgages. Our experienced mortgage specialists will give you the personalized attention you deserve, and the answers, expertise and support you need. We are well and septic testing specialists geared for real estate transactions. Our expertise and high level of efficiency provide piece of mind. We specialize solely in well and septic testing for Real Estate Transactions. Because of such a narrow service line, we have an expertise and high level of efficiency matched by few to none. Whether you're moving around the corner, or halfway around the world, we have the moving and storage services to help you make a smooth transition. Three generations of moving excellence and service. Modern, state of the art, custom-designed trucks and equipment. Residence Protection - carpet shield, wood floor runners, door pads, etc. Integrity - We put our family name on everything! Repax’s mission is to make your move as easy and affordable as possible, while minimizing your impact on the environment. Repax™ is the reusable packing system, which is revolutionizing the residential and commercial moving industry. At Repax™, we understand the hassle of time-consuming tasks that come with any move. Not only will Repax™ save you time during your move, we also lessen your carbon footprint by removing the tape, single use packing materials, cardboard boxes and other less sustainable products out of the moving equation using our patented reusable moving containers to transport your valuables safely. Repax™ is the quicker, cleaner and cheaper alternative to moving with cardboard boxes. We save you time from having to jump from one dumpster to the next searching for cardboard boxes. We provide reusable crates, which hold up to 30% more than the standard cardboard box, used for moving. Repax™ will not only drop off everything you need for a successful move (including dollies) but we’ll pick it all up when you’re done unpacking at your new location! Move smart with Repax™ and book us for your move today! No one likes to pack and at Repax™, we know that. We are determined to make each and every move easier for you and the environment. Our crates hold more weight than your traditional cardboard box, so you can pack more in less. Once the crates are full, simply stack them on your dolly and roll them away. Customers return to Repax™ because they don't want to deal with dirty cardboard boxes during or after their move. We drop off our crates and pick them up when you're done. A Short sale is a great solution for both the homeowner and the bank. The bank gets the best price for a quick sale at a market price and the homeowner gets to maintain their credit and usually get relief from possible future legal actions. Short sales occur when homeowners sell their property for a price less than the amount that is owed to the bank after expenses. In order for a short sale to take place, the bank must accept a discounted payoff; the bank gets paid less than the full loan amount owed. In a short sale, homeowners can get full relief from all of their mortgage debt. The end result is the home is sold, the mortgage is satisfied and homeowners avoid a foreclosure or a bankruptcy. Also, credit ratings will usually immediately improve because credit reports show that the mortgage was paid in full. Yes! 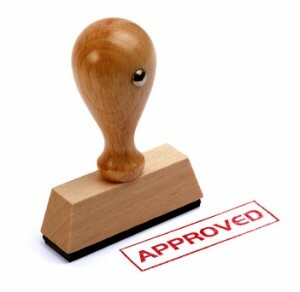 On average, real estate agents only get about 15% of their short sales approved. Having experienced negotiators that handle short sales all day, every day, is very important to getting the short sale finalized. When a short sale is completed, it avoids a foreclosure. A foreclosure can damage credit for up to 7 years and bankruptcy for up to 10 years. Experts believe that a foreclosure is much worse than a bankruptcy to an individual’s credit. Universal Title is a family-owned and operated settlement company and title agency, which has been conducting real estate settlements in Virginia, Maryland, and the District of Columbia for forty years. Universal Title is proud of the personal level of service we give our clients and customers. With more than a dozen attorneys on staff, we are always available for your settlement needs and are capable of handling even the most complex and complicated transactions. 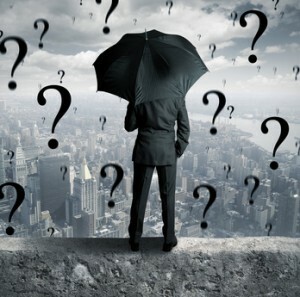 We understand that you have a choice when it comes to selecting which settlement company. We thank you for choosing Universal Title and look forward to serving you.